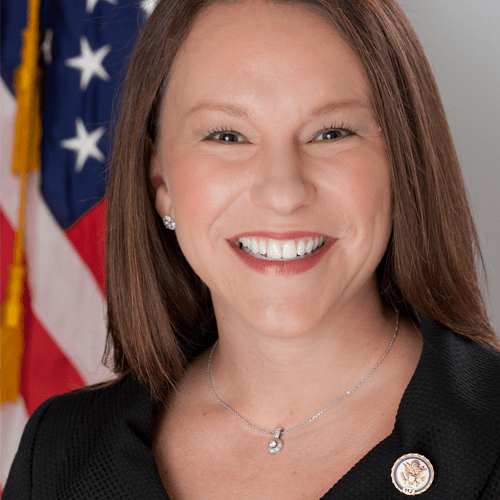 With Congress recently out of session for the Independence Day district work period, I took the opportunity to travel throughout Alabama’s Second District to share an update from Washington and hear directly from the people I represent. I spent time in Clayton, Eufaula, Andalusia, Montgomery, Troy, Slocomb, and Brundidge, just to name a few. Throughout my recent time on the road, one issue that came up frequently was agriculture policy, and I was glad to be able to share a timely update about the lay of the land as it relates to farm policy. During one day of this district work period, I had the privilege of hosting House Agriculture Committee Chairman Mike Conaway (R-TX) and his wife Suzanne for an agriculture tour of Alabama’s Second District. 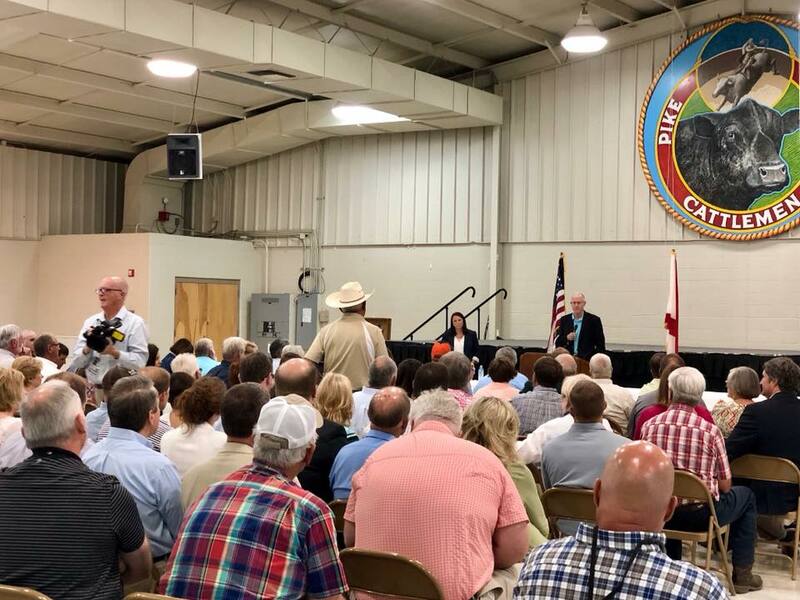 Together we held a large farmers’ roundtable discussion in conjunction with the Alabama Farmers Federation at the Pike County Cattlemen Association in Troy. This was a truly valuable opportunity for the farmers I represent to ask questions and get some answers. During the roundtable, we had conversations about the status of expanding access to rural broadband, possible solutions for our country’s feral hog problem, the importance of strict work requirements for welfare recipients, maintaining a strong crop insurance program, and more. After the roundtable, Chairman Conaway and I visited two family farms in Coffee and Geneva Counties for tours and briefings on their respective crops and operations. In Coffee County, we stopped by a beautiful farm that produces a variety of crops, including peanuts, cotton, and corn. In Geneva County, we visited a cotton farm that just recently planted a crop in early June. Chairman Conaway’s visit comes during a key time for agriculture policy in this country. As you may know, the House and Senate have passed our own different versions of the farm bill, and we will soon go to conference committee to work out the differences. In the House, we passed a conservative farm bill that includes strict work requirements for welfare recipients. I believe it’s important that we offer assistance to the most vulnerable Americans when they truly need it while providing tools to help them improve their circumstances. I have always said that we absolutely must encourage able-bodied individuals to work instead of incentivizing them to remain dependent on the federal government. The House farm bill reflects our conservative position on this issue, and I was proud to support it. Since the Senate is currently bound by a 60-vote threshold to pass legislation, their farm bill is considerably different than our version and doesn’t include conservative work requirements. When we go to conference to work through our differences, the bill that we ultimately pass will likely be a mixture of both versions. As I told the farmers in southeast Alabama, I am eager to continue working alongside my colleagues in Congress to get the work done and send a smart, strong farm bill to the President for his signature. I deeply appreciate Chairman Conaway and his wife Suzanne for making themselves available to the farmers I represent. We were able to have many one-on-one conversations with the hardworking men and women who are impacted by agriculture policy each and every day. I am also grateful to every farmer who attended the roundtable, asked meaningful questions, and hosted us on their properties. As Chairman Conaway said, “The decisions are made by the people who show up.” Thanks to the farmers who showed up, our day of agriculture policy discussion was very successful. I will continue to work alongside the Chairman and my colleagues to deliver agriculture policy that gives fair treatment to our Alabama commodities while making the farmers’ work easier, not more difficult. At the end of the day, my goal is for our farm bill to enable the farmers I represent to do the work they do best: provide the food and fiber that feeds our state, our country, and the world.